Looking for a space to entertain or relax? We design and build outdoor kitchens, fireplaces, firepits and more. Spend more time relaxing and bring the whole family to your next outdoor party. We use a variety of materials to make sure your new outdoor space is built on time and on budget. Have an idea? Let’s chat. Do you have a hill that is washing away or an area that needs more support? 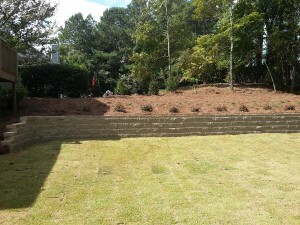 We can build a wall that will prevent erosion or simply level out a problem area to give you a bigger yard. Whether you want to use wood, blocks, pavers, boulders, timbers, or railroad ties, we will build a retaining wall that will allow you to enjoy your yard and will re-shape your landscape. Patios provide a perfect space for relaxing with family, entertaining friends, or just spending some quiet time alone or with your special someone. 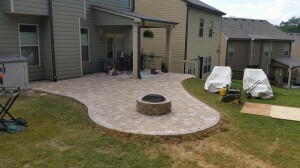 Whether you are looking for a paver patio, concrete paver or a flagstone patio, we have you covered. If you’d rather just keep it simple, we can pour you a new concrete patio.Let’s talk about your ideas for the perfect patio for your home. We’ll provide you with a free estimate and will work hard to exceed your expectations. Do you have a hill in your yard or uneven terrain that makes it a challenge to walk across the lawn? 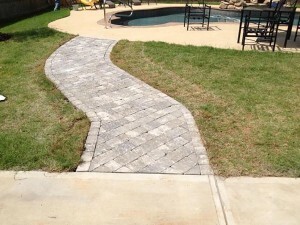 We will work with you to create an appealing walkway or even a stone, timber, or concrete stairway for easy access to hard to reach points of your backyard. We use top-quality materials such as flagstone, paver, concrete, gravel, timber and stone steps. Fences provide a great sense of privacy and an added layer of security for your property and lawn. 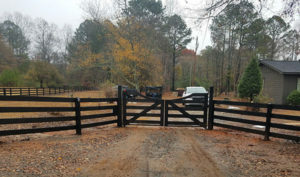 At Winston’s Removal & Landscaping, we build beautiful, durable fences, such as 6’, 8’, or 10’ tall privacy fences with or without decorative cut posts, as well as horse fences, split-rail, electric gates, and metal fences. Have an idea for your fence? We only use top quality outdoor screws, metal brackets and supports to ensure your deck is built to last a lifetime. We specialize in adding recessed and outdoor lighting to compliment your deck at night. Our handrails can be wood, metal, glass or wire and we also use synthetic decking material for owners that do not want the maintenance of wood decking. 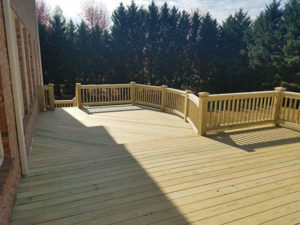 If you are looking to update, upgrade or build a custom deck to extend your outdoor living space, we will make your deck durable and up to code to ensure many years of enjoyment. 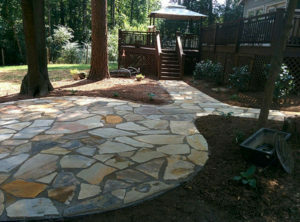 Visit our Project Gallery to see more photos of our recent Hardscaping projects.